Google – being the top search engine is now supporting businesses to its fullest. The key mission of this appraisal is to facilitate business show their presence online. 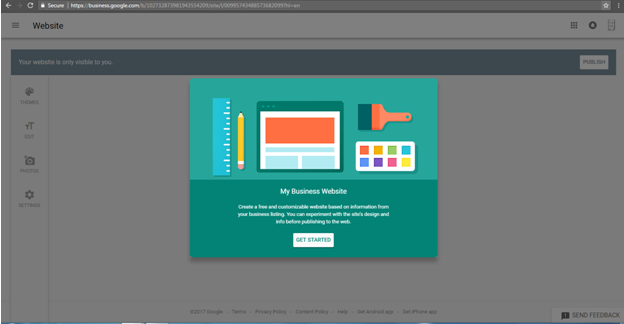 With around many web designing companies, Google my business set to launch website Builder. It was been testing earlier this year, and finally now the tool is globally available for every business. “we know that getting a website can still be a challenge for a lot of small business owners around the world: too complex, too expensive, too time consuming.” Google said 60% of small businesses do not even have a web site! 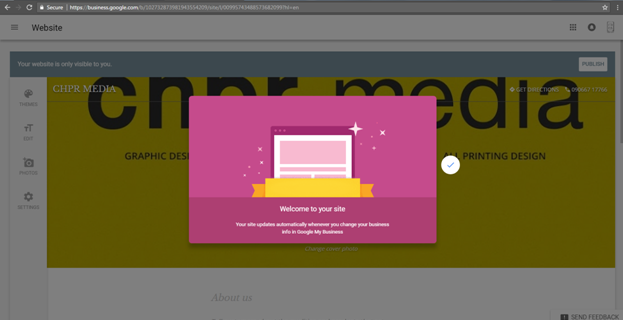 This website is an extension, simple page web from Google My business which enables you create a web page in few minutes. 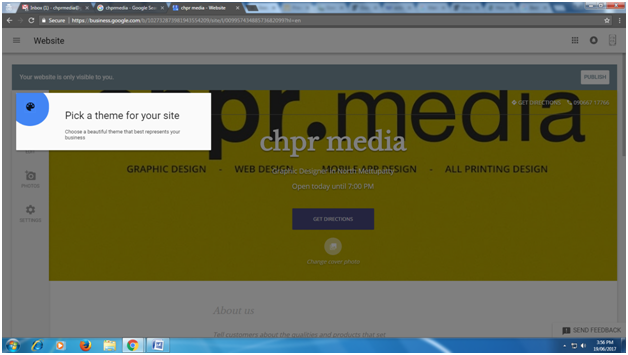 This start with having complete GMB listing and then Google will fetch all the information about your business from it. It can later on customize with text, photos and themes. In case, if you don’t have GMB then you must sign up first. You will then be inviting by Google to begin with this tool. 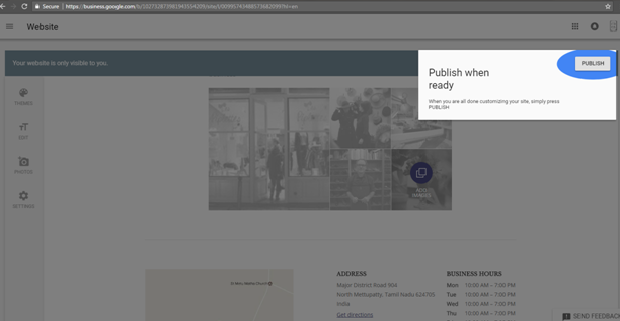 Although, Instructions on the screen is also accessible to help you each step, once you complete creating it, snap on publish. However, this tool is lacking many features, yet it is valuable source for new small businesses. The GMB is not merely replacing its features to full multi pages website but it is easiest way for biz entities trying to come online. This solution is not perfect as expected but justify to have one page website is better than not having at all.